My husband had hair just like that, I swear. These days, it’s unusual to see a popular movie or television show without some sort of merchandising tie-in. 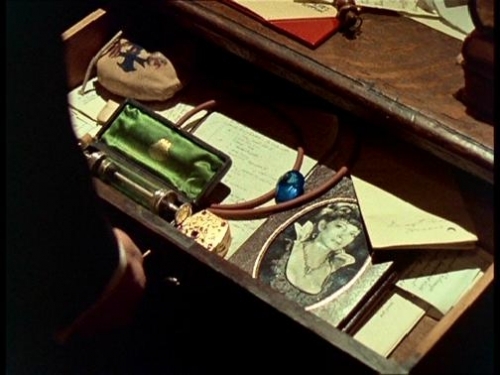 The Star Wars franchise made the practice into an art form, but even in decades previous there were Lone Ranger lunch boxes, Batman coloring books, Shirley Temple dolls and Little Orphan Annie decoder rings. People love to find ways to bring the characters and performers they love into their daily lives, and while it’s easy to get jaded about this part of human nature when it intersects with the equally human desire for “great gain,” it’s a boon for those of us with the collecting gene. Which is why we have this. I must confess, I have been tempted several times to just keep today’s prize for myself. It is that cool. 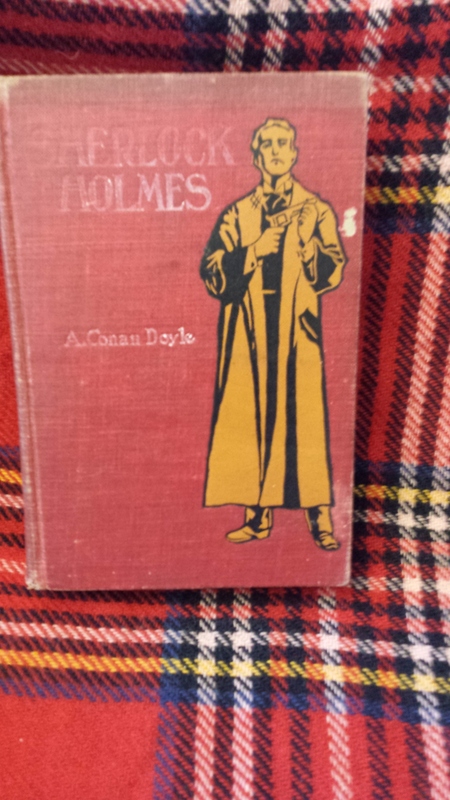 An early example of a Sherlock Holmes media tie-in. 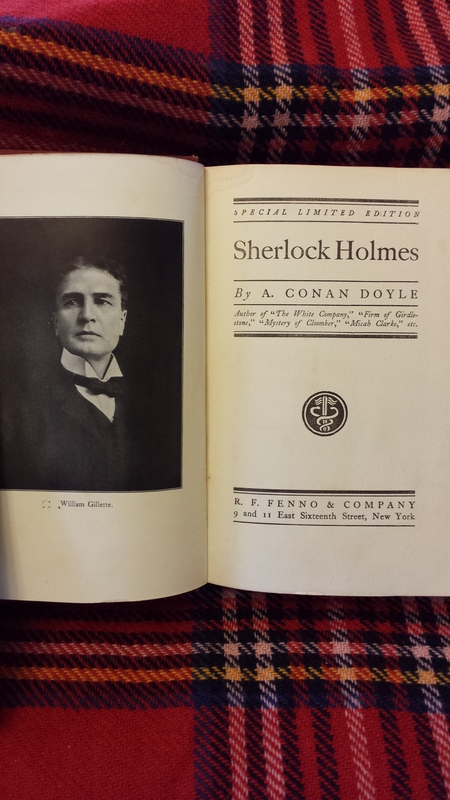 When this book was printed, William Gillette was the face of Sherlock Holmes, and publicity stills from his play serve as illustrations. 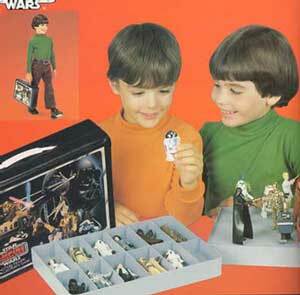 This was no doubt a primary draw for some fans. 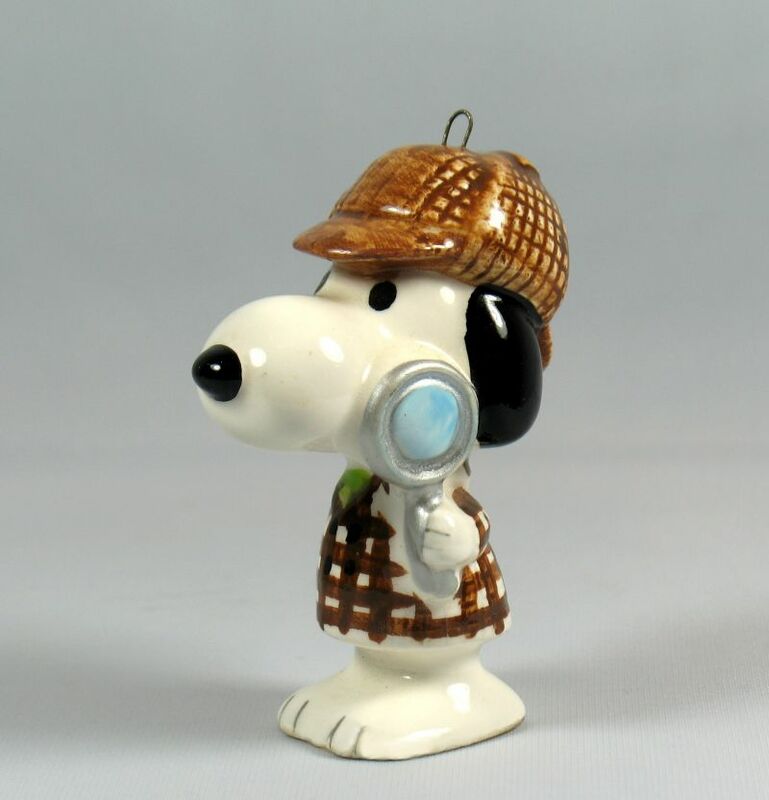 One can, however, imagine some of the older set (who had read Holmes in the original Beeton’s) grumping that Mr. Gillette is too attractive to truly be the Great Detective, and that they prefer Paget. Or Gutschmidt. Or Charles Doyle. Ok, probably not him. Unfortunately, the book is not the novelised version of Gillette’s play. Or rather, fortunately, for if it had been, I would have kept it. Instead, it’s the novel A Study in Scarlet. But even if the story and the photos don’t completely match, it’s still a wonderful treasure, and I hope you enjoy playing for it. 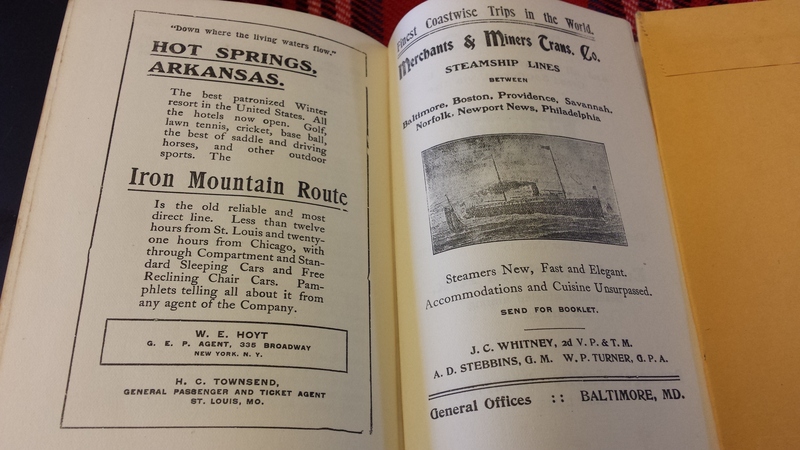 The ads in the back are a nice touch, and help to date the book between 1900 (the play debuted in London in November of 1899), and 1917, when the Iron Route advertised closed. 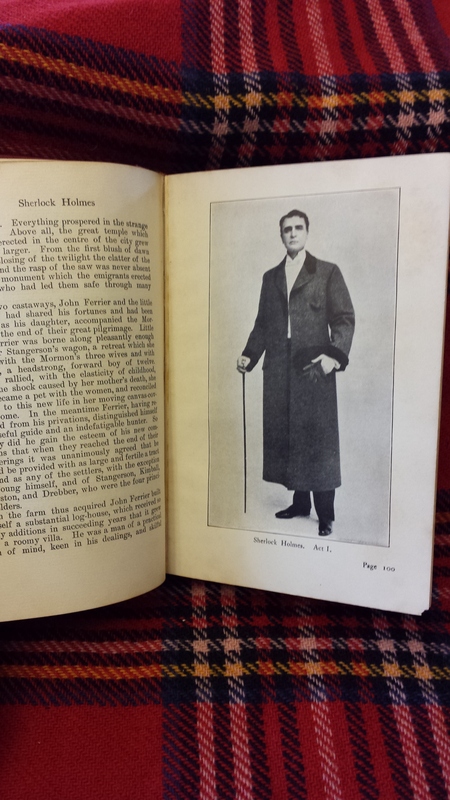 Sherlock Holmes was himself a “fan” of particular performers. If he had a collection, to whom might it have been devoted? (Hint: There are several possible answers). As always, send your answers in via FaceBook PM, Twitter DM, or blog comment for your chance to win. For full rules, see the blog entry for 20 December. Good luck!